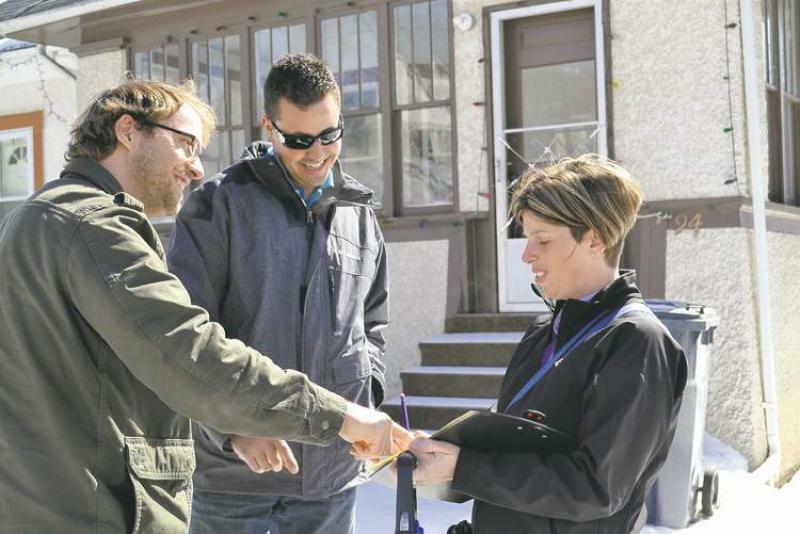 Laura Kemp of Winnipeg's Laura Kemp Appraisals Ltd. talks with Robson and Milnes about her appraisal of the Elmwood house. Why do people renovate their houses? The standard answer is "to increase the resale value." Perhaps that was true during the great building boom between 1945 and 1970, when 40 per cent of Winnipeg homes, excluding the inner city, were built. Slap some paint on the walls, give the floors a polish and arrange the furniture so everything looked neat and tidy -- presto, you could double the price of your home before the real estate agent had finished hanging the For Sale shingle. Today's real estate market is more complex. Renovations will increase the selling price and marketability of your house, but don't expect anything too dramatic. 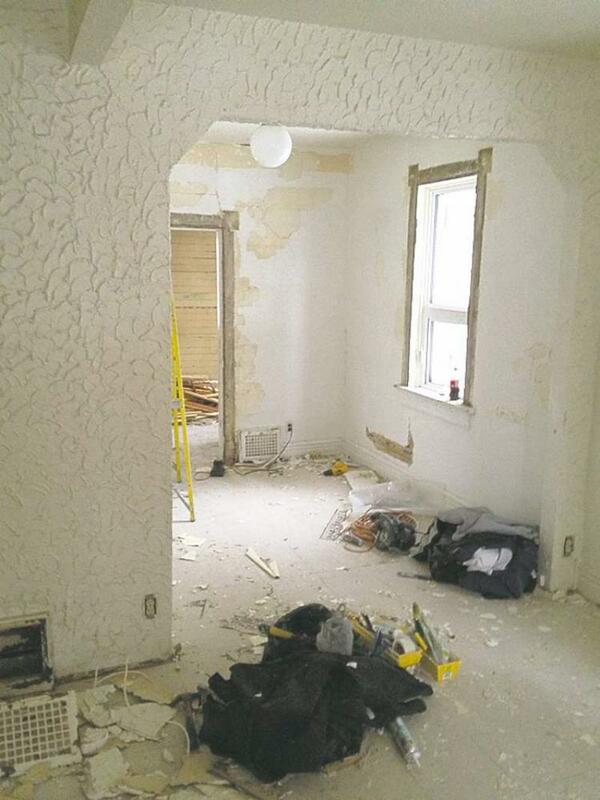 Laura Kemp, owner of Kemp Appraisals Ltd. in Winnipeg, said the money a homeowner spends refurbishing a house will be recouped in diminishing percentages, depending on the room(s) renovated. 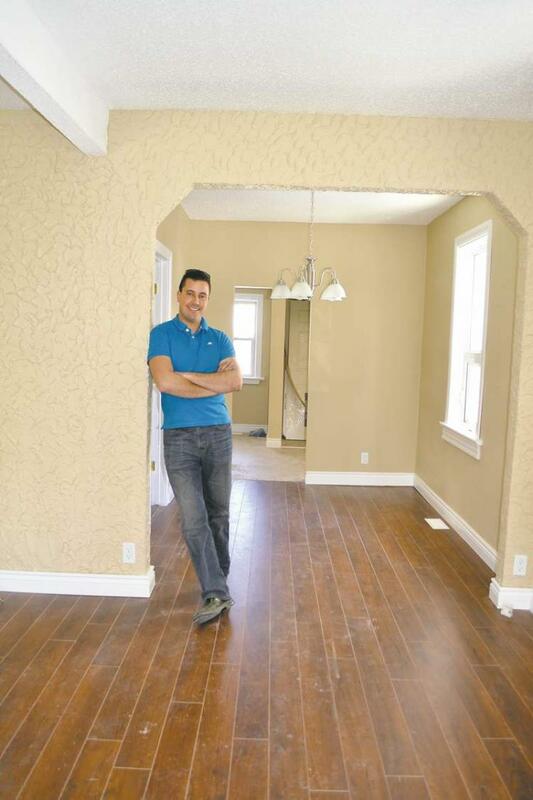 "Never expect the return on a reno to exceed more than its cost," advised Kemp, a Canadian professional appraiser designated by the Appraisal Institute of Canada. "Kitchens and bathrooms can return 80 to 100 per cent of the renovation price because they are high-traffic areas that can make a 'wow' statement about your house," said Kemp, adding items such as skylights normally return zero to 25 per cent and pools from 10 to 40 per cent. She said a relatively simple reno such as freshening up the interior of a house with a coat of paint could return 50 to 100 per cent on the investment, assuming the colour palette is tasteful. "Taupe, earth tones and muted greens will work with most furnishings. Avoid bright colours like lime green and red, two colours I recently saw in bedrooms where the kids were allowed to choose their own palette," Kemp said. She said if a house needs a new roof, replacing it will increase the home's salability and the owner can expect about a 50 to 80 per cent return on investment. "Don't replace a roof that has several years of life expectancy remaining; you're just wasting money," she said. Repairing or replacing leaking fixtures and toilets is a good idea because it indicates to a potential buyer that a home has been well-maintained and plumbing will not be a problem. Though expensive, replacing leaking windows and doors with high-efficiency units will net a 50 to 75 per cent payback, as will installing a new fuel-efficient furnace, Kemp said. A basement that leaks must be fixed; otherwise, the house may become stigmatized as "the one in which the basement floods," she said. As people become more enamoured of luxury and an easier lifestyle, some de rigueur requirements of newer homes include hardwood floors in the kitchen, granite or quartz countertops, a main-floor laundry and office, built-in appliances and a whirlpool bath, Kemp said. She cautioned that it is possible to over-renovate a home in relation to the surrounding neighbourhood. 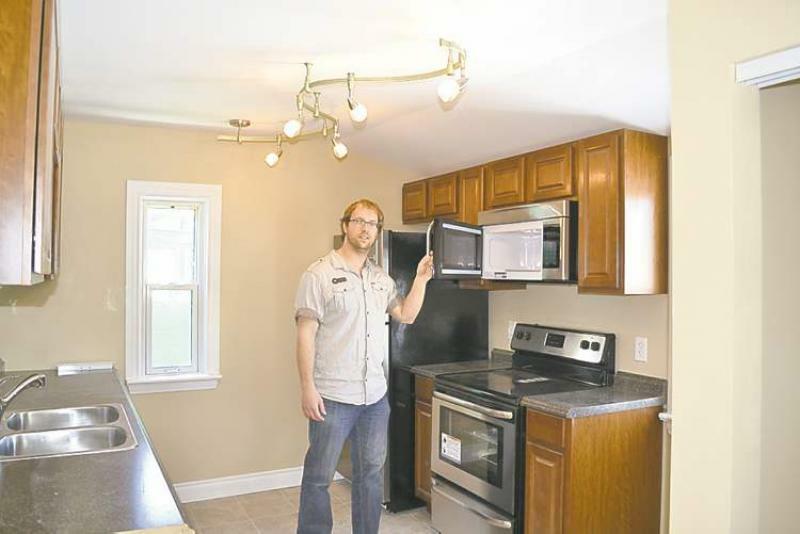 "A $50,000 kitchen reno is going to look out of place in a $130,000 house in the North End, but that same kitchen will look fine in a Tuxedo home worth a half-million or more." The bottom line: "If you plan to renovate, keep your costs in line with the value of your home. 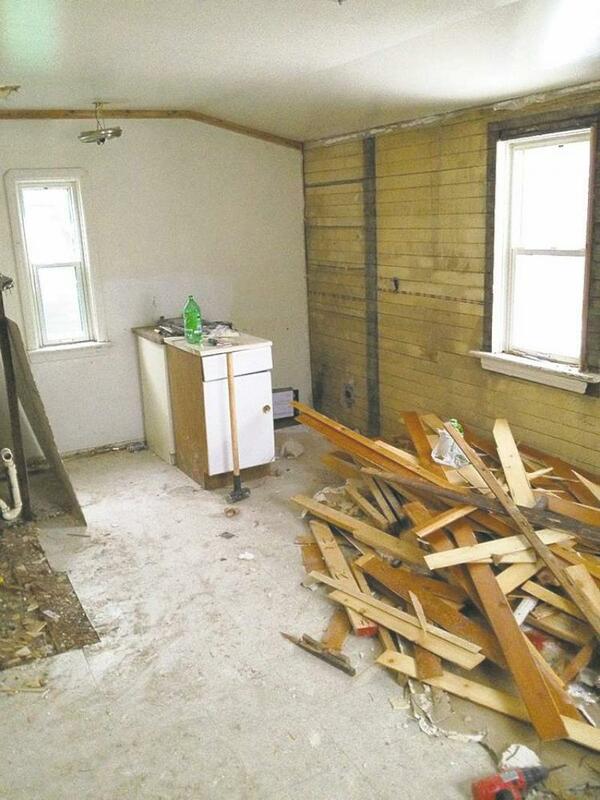 If it's overvalued, you will not receive any return on renovations." To get an idea of what your property is worth, check recent sales of houses in your area that are comparable to your own. If you're serious about selling, a real estate agent will provide you with an estimate of your home's worth, but be aware the selling price you are quoted may be higher than the house's real value, as agents work on commission -- a higher price puts more money in their pocket. Meanwhile, you will likely play the waiting game, continuing to pay taxes and other expenses associated with your house while it languishes on the market. Kemp will appraise a house for a one-time fee between $250 and $300. As she has no vested interest in the selling price, her appraisal is an unbiased opinion of real market value, including a 15-page report that explains her evaluation based on multiple selling points. Two of her many clients include Geoff Milnes and Rob Robson of RentalRatRace.ca, a unique enterprise that allows people who spend a large percentage of income on rent to use that money to purchase a house. "Most of these folks can't afford a home because the minimum down payment is five per cent and can be as high as 20 per cent, depending on a number of factors," Milnes said. "We buy and renovate older houses and then rent them for a three-year period to people considered high-risk by banks because they may have poor credit ratings," Robson explained. If the renters live up to their obligations by paying the rent on time, keeping the house well-maintained and the yard in good condition, at the end of the 36-month contract they have accrued enough money to place a down payment on the home, Robson said. Milnes added that this show of financial and personal maturity is sufficient to persuade a bank to lend the renters money to purchase the house from the owner, in this case RentalRat Race.ca. To keep costs down and still provide high-quality renovation materials, Rob and Geoff haul a large trailer to Menard's in Fargo, where building materials manufactured in Canada can be bought for half the price paid in Winnipeg. "We're just completing a renovation to a home in Elmwood and we've already signed a rental agreement with a couple," Milnes said. The Elmwood reno includes carpeted stairs, laminate flooring in the living areas, new doors, textured walls, vinyl flooring in the kitchen and bathrooms, as well as Formica countertops and high-end cabinets and new appliances in the kitchen. A basement bathroom includes a vanity with a granite top and a high-end shower stall. The outside of the home has been spruced up to include new gutters, door frames and other details to increase curb appeal.